This is the Broom Barns team somewhere between 1956 and 1958. Quite a few of the players went to either Barclay or Heathcote schools in Stevenage. Both schools had very good sports teams of that era. From left to right ( Top Row ) ? ? ? 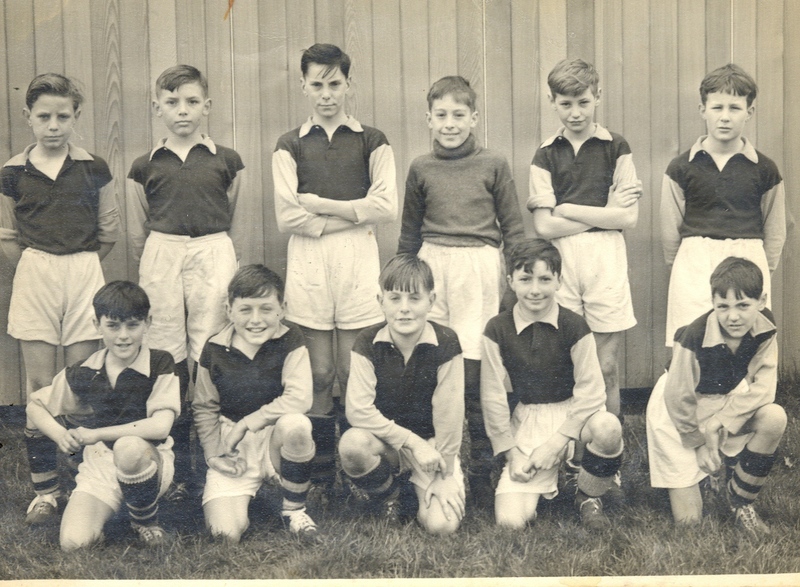 Alex Ward, Pat Winstone, Pat Mannion ( Bottom Row ). Dave Jenkins, Terry Harrigan, Andrew Moore, ? Dave Langley. This page was added on 12/07/2011.